World Oceans Day is a global day of ocean celebration and collaboration for a better future. It is held annually on June 8. 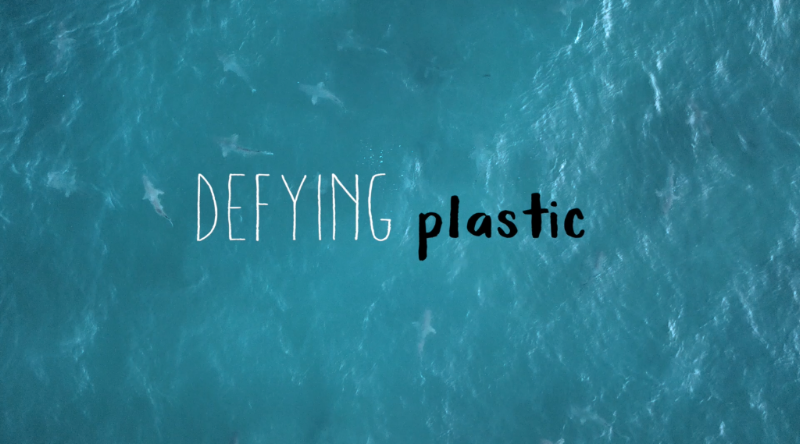 2018’s action focus is on preventing plastic pollution, which kills more than one million seabirds and 100,000 marine mammals per year. This year, World Oceans Day, seeks to encourage solutions to the continued global impact of plastic pollution. Together, we can start making a difference to reduce marine litter and create healthier oceans and a better future for generations to come. Join the Better Bag Challenge here and commit to using reusable bags for the next year. A healthy world ocean is critical to our survival. Every year, World Oceans Day provides a unique opportunity to honor, help protect, and conserve the world’s oceans. Oceans are very important. Why? Eight million tons of plastic end up in oceans annually. 80 percent of all ocean pollution comes from humans. A recent study published in the journal Scientific Reports on March 22 this year found that the Great Pacific Garbage Patch (GPGP) contains as much as 16 times more plastic than previously estimated. In fact, the trash area located halfway between California and Hawaii, has now grown to more than 600,000 square miles, which is twice the size of Texas or three times the size of France. This mass of plastic polution is estimated to contain 1.8 trillion pieces of plastic…. weighing 80,000 metric tons. That is the equivalent of 500 jumbo jets. This trash is thought to come from countries around the Pacific Rim, such as nations in Asia as well as North and South America. Plastic accumulates at ocean sites, known as gyres. Gyres are areas where converging winds and ocean currents meet. The circular motion of the gyre draws debris into a stable, calm center, where it becomes trapped. Plastics will not sink since they are less dense than the ocean watr. So they will stay in this gyre until they degrade into smaller microplastics under the effects of sun, waves and marine life. From here they become even more dangerous as fish and marine life consume them. Often they then end us in our food sources as well. It’s up to each one of us to help ensure that our ocean is healthy for future generations. Change perspective – Encourage those you know to think about what the ocean means to them. How can we conserve it for present and the future generations? Learn – Discover the wealth of diverse and beautiful ocean creatures and habitats. Go for a snorkel at your local beach. Research how our daily actions affect the ocean and how we are all interconnected. Celebrate – Whether you live inland or on the coast, we are all connected to the ocean. Take the time to think about how the ocean affects you. How you affect the ocean? Organize or participate in activities that celebrate our ocean. Despite the huge challenges facing the world’s ocean, by working together we can support a healthy ocean. Did you know that our Oceans sustainability provide for the billions of humans, plants, and animals every day? On World Oceans Day, people around our blue planet celebrate and honor the ocean, which connects us all. Get together with your family, friends, community, and the planet to start creating a better future. Working together, we can and will protect our shared ocean. We hope you will be a part of this growing global celebration! Help local videographer IWS family, Tallymark win with her impacting video. VOTING ENDS TODAY so vote soon. Click the image below to watch the video and vote. Take some of her advice and grab a reusable bottle at Island Water Sports. Ditch the straw. And, grab a reusable bag next time you walk into the store to shop. Head to Gumbo Limbo all day today, tomorrow and Sunday to celebrate World Ocean’s Day. Learn about our oceans and the animals that call our local ocean home. Visit the lab and learn why microplastics are a major problem. Enter the shoreline cleaning contest and enjoy sustainable seafood dishes by Red’s Kitchen. Friday 9am -4pm; Saturday 9am – 4pm and Sunday 12pm to 4pm. Click here to find out more. Broward’s March for the Ocean will be at Charnow Park on Hollywood Beach Broadwalk. Join Surfrider Foundation at 9 am. Show your support by wearing an ocean related costume, bringing a poster, and decorating your clean-up bucket. Prizes will be awared. At 10 am, join others on a walk to the Marine Environmental Education Center and back. The Ft Lauderdale High School Drum Line will lead the way! Each way is 1.3 miles (paved), and it will take about 30 minutes each way. At MEEC, you can grab a free icee, and say hello to Captain the sea turtle. Back at Charnow Park, we will have some positive reggae vibes from DJ Lance-O of Kulcha Shok Muzik, and there will be sprinklers and a kids play area. Saturday, June 9th – Enjoy our ocean at free surf lesson provided by Island Camps and Island Water Sports. Sign up here to be part of our surf, sup and skimboard clinic. Check out these great resources to teach your kids this summer about the importance of reducing the use of plastics. And join Island Water Sports on our next beach cleanup. Follow our facebook events to find be alerted on all of our clean-up dates or contact us to partner on a beach clean up with your friends, club, local business or organization. Spring Break Surf Camp Week One!